The map above is the actual map drawn up by members of the Lewis and Clark Expedition. It was a long journey that officially began in what is present day St. Louis Missouri. This is why St. Louis is often referred to as the "Gateway to the West". The journey ventured across land that would eventually become 10 states, and took more than two years to complete. Below is a modern day political map that shows the route followed by the Lewis and Clark Expedition. As mentioned above, the expedition journeyed across land that would eventually make up 10 states. 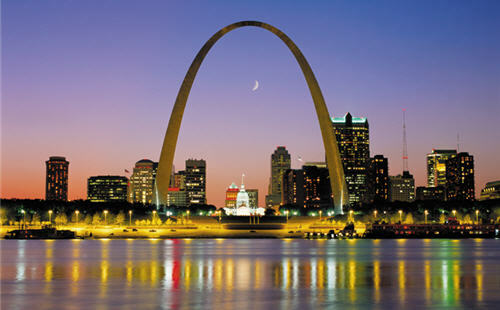 describes why St. Louis is often referred to as "The Gateway to the West"
​Remember, you have the internet to help you.